I bought this from Trumpers, where I buy my shaving creams, soaps and brushes (good job there is a plague of badgers). 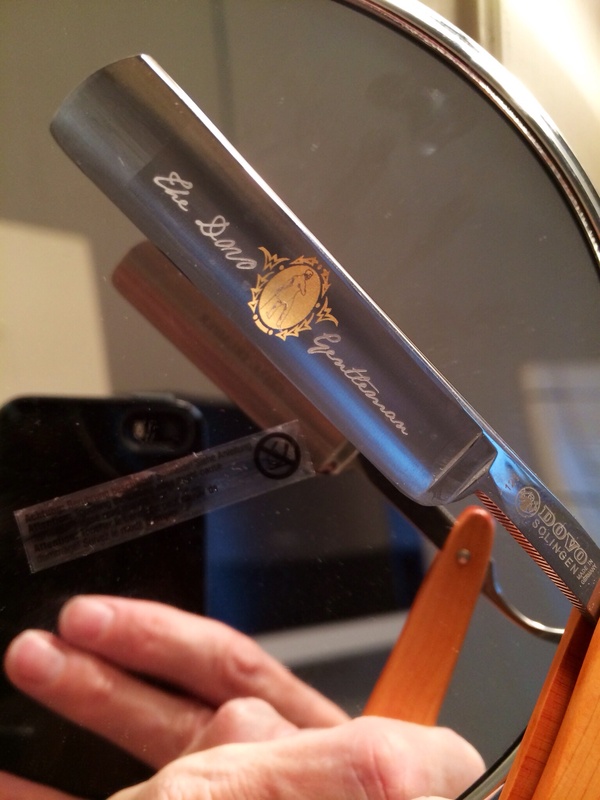 On the reverse of the blade was a peel-off warning, which I stuck to the mirror. It says “Do not touch the blade. It is sharp.” Or words (in three languages) to that effect. I am wondering if my aim is true enough. I shall have to use it. Perhaps tomorrow. This entry was posted in Pics, Random and tagged Cut Throat Razor, Shaving, Trumpers. Bookmark the permalink.